There are lots of cats essentials and cat-inspired products such as clothing and sunglasses that you can buy online at very low prices. Deals and voucher codes that you can use at reputable online UK sellers such as Amazon, ASDA and Wilko will certainly not disappoint you. You can check limited offers from various sellers and get a discounted rate for your purchases. Our savvy money-saving experts will provide you with useful tips for you to save money. 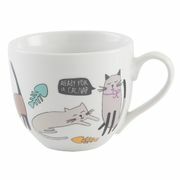 Get access to awesome Cats themed product options on amazingly great discounts that can reach up to 60%. HURRY- Reduced Cute Cat Postitnotes!! HURRY, Reduced Cute Cat Pen PLUS FREE DELIVERY!! Find all the cat essential you need at very low prices! Check the Latest Deals site frequently to know about the latest offers and bargains. Here we will provide you with the best cheap Cats UK deals available online today. You can buy your cat gifts such as snacks and little toys that your cat can play with. 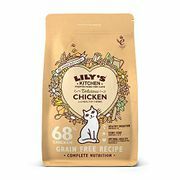 There is also cheap cat food that reputable UK retailers are selling. 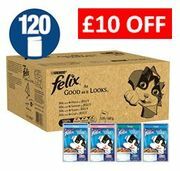 The cat food deals here are updated and our community of enthusiastic deal hunters made sure that you can use the voucher codes. Don’t forget to use the latest cheap cats voucher codes to save money on your purchases. Stick to your budget when you take advantage of the special promos to maximize your savings. You can compare the prices of the items that you are looking for easily because we have compiled all the necessary information from various UK retailers including Wilko, Pets at Home, Tesco, and Argos. You may be interested in buying cheap cat beds. You can purchase them from Amazon, Wowcher, eBay, and other popular UK sellers. There are also a lot of personalised cat gifts that you can buy for your feline friend. Using the latest cheap cats discount codes is an amazing way to get great value for your money. Our team of enthusiastic deal hunters has gathered and tested the latest cheap cats UK deals so you can be assured that any voucher code is up-to-date. Take advantage of special offers from clearance sales and enhance your shopping experience from the best options. 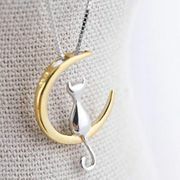 You can even purchase unique cat gifts for cat lovers. You can save as much as 50% on selected items. This is the only one the many perks that you can get when you frequently check the Latest Deals website. The Kitty Tube. This is probably the best outdoor cat house that you can buy for your pet. It is a favourite of many cat lover and it provides a comfortable place for your pet when he is staying outdoors. It is fully insulated and is specially designed to adjust to the conditions of its surroundings. Go Pet Club Cat Tree. If you are looking for a durable tree house for your cat then this is the right one for you. This is like a pet condo where it can house numerous cats and it is very spacious as well. It comes in a beige colour and you can choose the models that have blue carpeting. Prosper Pet Cat Tunnel. This is a great hideout for your pet. This can even house small critters like rabbits. Your cats will be entertained for hours. It is very durable and s made from metal and nylon. It is also very easy to clean. SmartCat Ultimate Scratching Post. This is the best cat scratcher that you can give as a gift to your pet. It has a solid and sturdy base that is specially designed to withstand hard scratches. It also does not leave any chipped materials on the floor. Da Bird. This is a very enjoyable toy for your cat. It is one of the best selling cat toys online. It is an interactive toy with feathers. You can even replace the feathers since they will get damaged when your cat will play with them. Petmate Gravity Pet Cafe Feeder. This is a great item that you can purchase for your pet cat. this will make feeding them more enjoyable. This will provide a steady supply of dry cat food to your pet. This is also very convenient for the owner. Precious Cat Ultra Premium Clumping Cat Litter. this will train your pet to clean up their litter. This clay clumping litter will keep moisture from the bottom of the pan. This will prevent foul odor from accumulating.